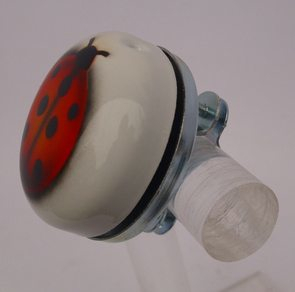 We just love the uniqueness of these hand airbrushed bells from Trimobil! Each one has its own personal touches and is therefore YOUR personal bell. This Ladybird bell is so adorable and will look fantastic on your bike.